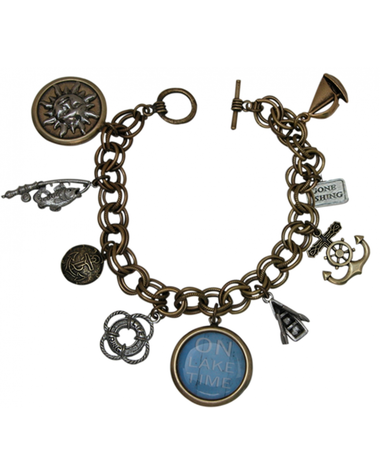 This bracelet is embellished with 9 different charms all reflecting the lake living theme. 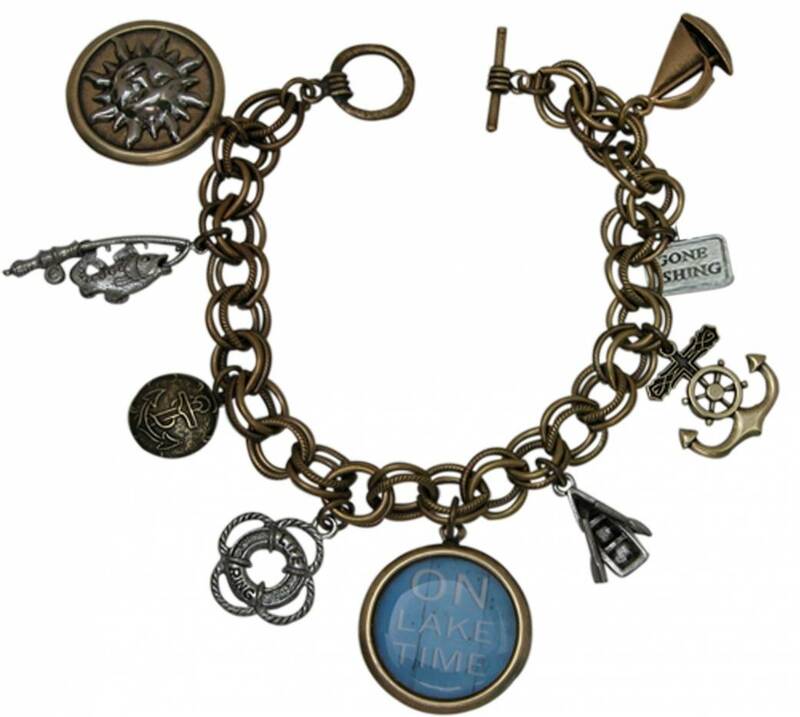 The charms are silver, oxidized brass, or both and represent various lake themes, including boating, fishing, life rings and a large "On Lake Time" charm. The bracelet is packaged in an attractive presentation gift box with a clear lid. This piece makes for an attractive and fun hostess gift.